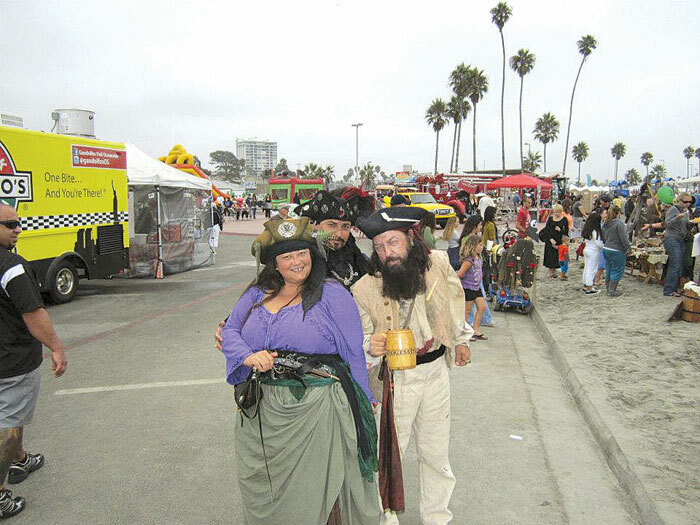 OCEANSIDE — Coming Sept. 29-30, Oceanside Harbor Days will offer nautical fun for the whole family — plus arts and craft exhibits, food and fun activities. The event is open from 9 a.m.-6 p.m. Saturday and 9 a.m.-5 p.m. Sunday. More than 50,000 people are expected to attend the event, which is designed to give visitors the chance to experience Oceanside Harbor’s many attractions. This year’s Harbor Days will include a new beach area performance stage, along with “the famous Nail ‘n’ Sail competition,” plus military, police and fire displays, and more. A fishing derby is planned for youth anglers at the Oceanside fishing pier, where children younger than 12 will vie for top catch of the day. Also returning for this year’s event is the Pirate’s Cove area, where authentic pirates, booty, pirate merchandise and cannon blasts can be seen and heard. For more information, visit the Oceanside Chamber of Commerce’s website: oceansidechamber.com.